It was Summer 2015. My grandson, Cameron, was over to my house for the day and while we were preparing to take a nice walk in the early evening we noticed that , across the street from my house was a rock. We had seen this rock many times before. It had been in the same spot since my husband and I moved into the house in 2003. But something was different this time. Something unusual was taking place. The rock was growing a tree from inside. Wow! How could that be, we wondered. So, the researcher in me had to find out. Cameron and I found out that rocks, when they age, and due to weather conditions, can actually begin to split. Cracks form in the rock and animals (birds, squirrels, etc.) sometimes drop seeds into the cracks of the rock. 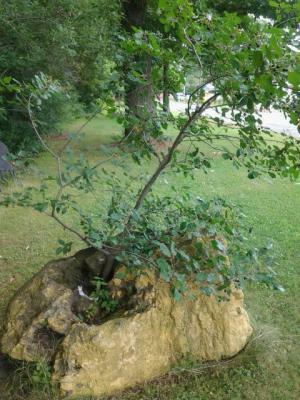 When this happens, a tree can begin to grow from the rock. Amazing! 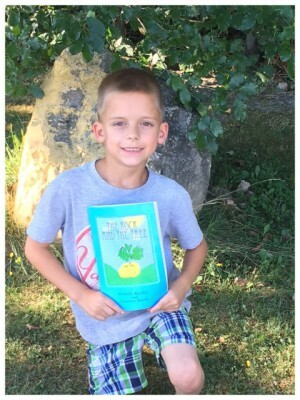 Cameron, who loves to write and illustrate his own books, asked me (grandma) to write a book with him. Well, of course, is what I told him. I was proud that my 7-year-old grandson wanted me to help him this time AND that he seems to be following in grandma's footsteps. Yay! Cameron drew the pictures and when he was done he instructed me to write a story based on the illustrations he created. Much to my surprise he drew pictures of the rock that held the tree. Hmmm, I thought. How in the world would I come up with a story about a rock and a tree? Well, it didn't take long for me and Cam to put our heads together and come up with a great children's story. 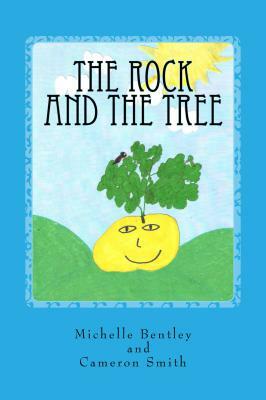 Our collaboration is the book "The Rock and the Tree" and it's a very cute children's book that, I believe, all pre-schoolers and below, will love. In fact, the book was tested at a library children's reading hour this past summer and the group of 25 pre-schoolers loved the book! I think your child or grandchild will love it too. It is available in both print and digital formats on Amazon. I'd love for you to check it. Also, check out the "real" rock and tree below. Share this page with all your friends and followers!